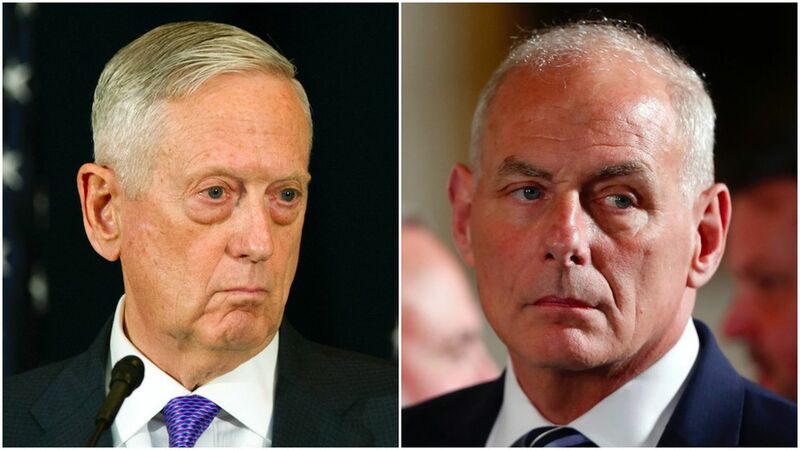 In the earlier weeks of Trump's presidency, Secretary of Defense Jim Mattis and then-Homeland Security Secretary John Kelly agreed to make sure at least one of them was in the U.S. at all times to keep track of all of the orders emanating from the White House, per "a person familiar with the discussions," the AP reports. A Pentagon spokesperson told Axios they "do not verify the claims of 'anonymous sources.'" A DHS spokesperson said he hasn't been able to find out if this is true or not.